Around the Spiral with Edward Lifegem: It's time to sink Frogerale Ships!! Before I begin on what happened next, I want to remind you what happened on my last blog post and after that and then, where I am now. 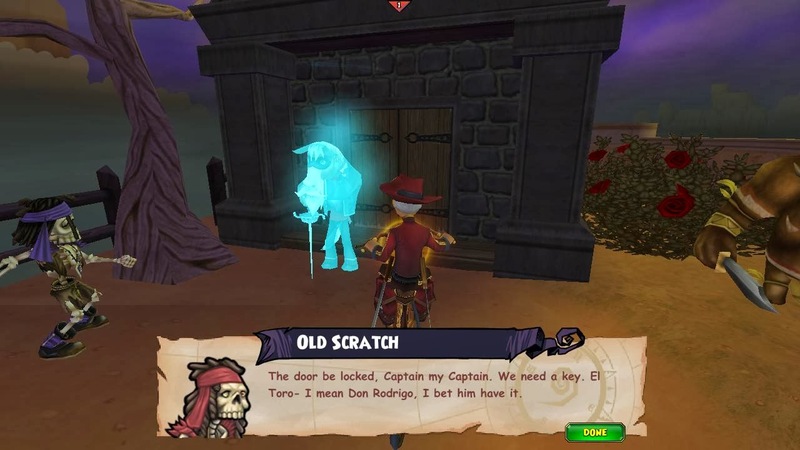 On my last blog post I had to enter a dungeon on Boot Hill to defeat English Bill. I had to fight him two times because when I was done defeating him the first time he escaped to a nearby ship and I followed him and defeated him again. I'm hoping it's the last time I have to defeat him! He causes so much trouble in the skyways :P. After defeating him and destroying his ship I had to talk to Tonka, the one that was kidnapped. I found out English Bill kidnapped Tonka to find out more about El Toro. Tonka also told me that English Bill had plans to use magic to call Dan Rafael's ghost to find out more about Captain Gunn. I needed to go to Rafael's grave to find out more about Captain Gunn but found out that Rafael's mausoleum was locked and I needed a key to enter. The only way I could find a key to open the mausoleum is to talk to Don Rodrigo (EL TORO- HE'S EL TORO). 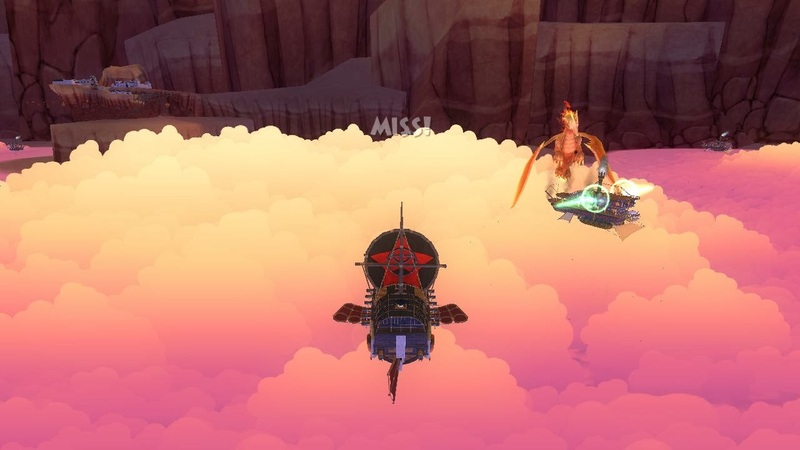 I sailed back to Santo Pollo Skyway and spoke to Don Rodrigo and he told me that the key was stolen by banditoads. After that, frogerales stole they key from the banditoads and didn't return it to Don Rodrigo. He said I could have the key once I defeated a few of the frogerale ships and collected the key. I only had to sink one ship before collecting the key so it was easy to complete that quest. 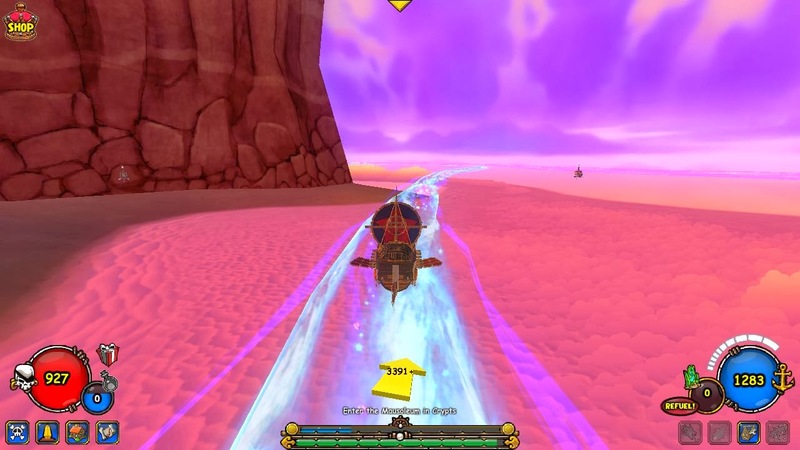 I have one more quest I have to do but will have to finish it later since I stop questing on my swashbuckler and made my last blog post with my witchdoctor. I promise I will have that post soon! My next quest is to enter the mausoleum and I believe it is a dungeon. I can't wait to blog about that! It should be tomorrow or the next day before I blog about that so make sure to keep reading. If you want to read more, I invite you to check out all of my other Edward Cringle posts by clicking HERE. Thanks again for reading my blog posts! :) Until I make my next post, I'll see you around the spiral!